Lotus is for brides who believe you don’t have to sacrifice your health for your beauty, even on your wedding day. We strive to offer our brides a holistic, calming, and healthier experience on their wedding day and beyond. Our products start on a farm in Italy. You won’t smell any harsh fumes, artificial fragrance, or toxic ingredients. We use 100% cruelty free lines, as well as non-toxic lines for both hair and makeup. We offer a full array of services on your wedding day. We offer anything from a simple shampoo & blow-dry, modern formal styling, curling, beach waves, straightening, etc. We also offer makeup applications using our holistic and non-toxic lines. We specialize in enhancing your natural beauty! We will travel on location, or visit our salon on your day. Looking for something more simple? Get married on a mountain or beautiful location of your choice, or let us take you away to a special place… We work with a flower vendor, and a photographer to put together a simple adventure elopement package just for you! 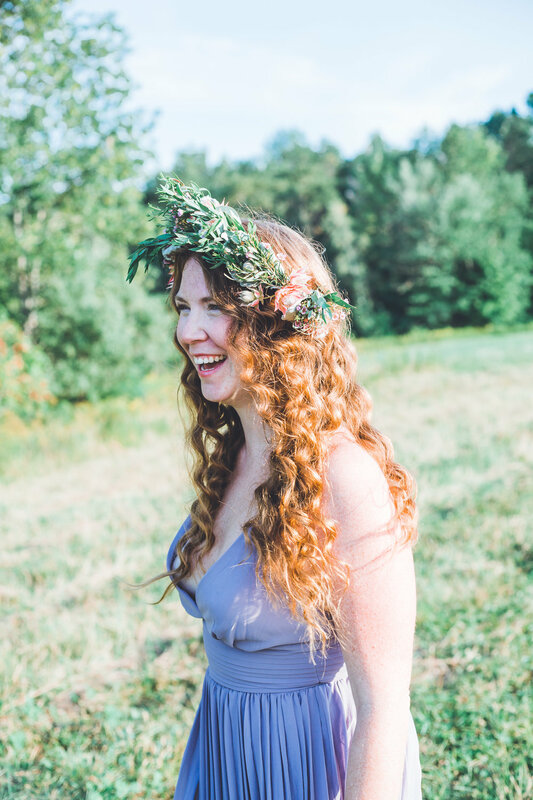 Copyright © 2018 Lotus Organic Hair Studio //all Photos by the talented cait bourgault. photos on bridal page and photography page by sarah ghelfi of lotus.